A Scottish clergyman and his faithful border collie visit 221B and tell a tale of a ghostly Banshee on the Isle of Skye. After the specter appeared, two people died. Holmes sends Watson on ahead to investigate and report. 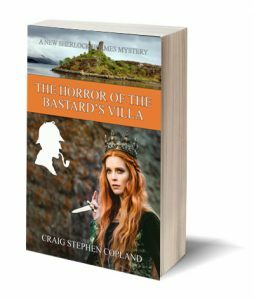 More terrifying horrors occur and Sherlock Holmes must come and solve the awful mystery before more people are murdered. A tribute to the original story in the Canon, Arthur Conan Doyle’s masterpiece, The Hound of the Baskervilles.